The Making A Difference Foundation and our President and Founder, Ahndrea Blue, believes that education is the greatest equalizer and force for change. “MADF is committed to assisting people within our community gain the resources they need to make positive changes in their lives. 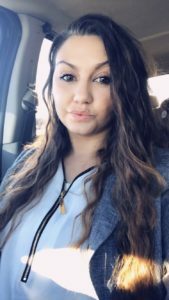 Through this scholarship program, we are helping dedicated college students not only achieve their dreams but to also make a difference, so they can change the world for the better,” – Ahndrea L. Blue. President and CEO of Making A Difference Foundation. The MADF makes a difference in education by providing ten scholarships annually to individuals who are furthering their education. They also partner with schools, non-profits, churches, and other programs by making financial contributions to their educational programs. Scholarships are selected by the MADF Scholarship Selection Committee and awards are made in the amount of $1,500 to individual students to apply toward college education expenses including cost of tuition, books, supplies, room and/or board. Ryshun Sampson is a Junior at Seattle University majoring in Marketing. 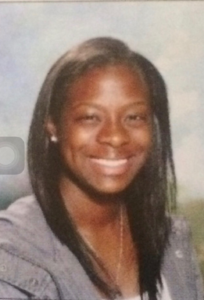 Ms. Sampson is a first-generation college student and has two other siblings in college as well. 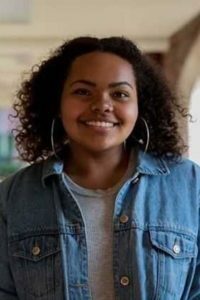 She currently balances college responsibilities with an on-campus job and commits her time as a volunteer with the YMCA, Villa Academy and tutoring college and high school students. The Making A Difference Foundation has previously awarded Ms. Sampson a scholarship in 2016 and is honored to award her a scholarship in 2018. 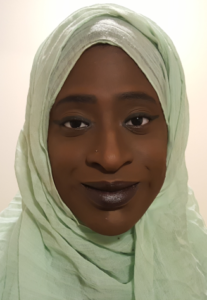 Yaye Rokhaya Sambou is a Junior at the University of Washington at the Seattle campus. She is majoring in Pre-Nursing and has achieved Dean’s List for multiple quarters at the University of Washington. The dedication it takes to achieve high grades has been demonstrated by Ms. Sambou throughout high school, where she excelled in AP classes. The Making A Difference Foundation has previously awarded Ms. Sambou a scholarship in 2016 and is honored to award her a scholarship in 2018. Anna Hanson is a student at Pierce College at the Fort Steilacoom campus. She is majoring in Pre-Nursing, after which her goal is to transfer to a 4-year accredited college. She has a passion for healthcare and wishes to obtain a degree in Healthcare Leadership. Ms. Hanson is a first-generation college student and a single mother to her young son as well. She dedicates her time to college, an on-campus job, and volunteers at her son’s school, as well as participates in outreach programs through Pierce College. Jaisa Jessamyn Young is a Junior at Loyola University in New Orleans, Louisiana. She is majoring in Sociology with a concentration in Social Justice and inequality, with a minor in African American Studies, and a minor in Political Science. She is a first-generation college student from Washington. Ms. Young is involved on her college campus as an Ignacio volunteer where she educates other students on the political, sociological, and economic issues in New Orleans. 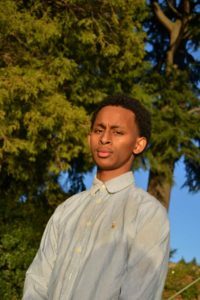 Mahmud Osman is a Sophomore at the University of Washington where he wants to obtain two degrees, majoring in Business Administration and International Relations. Mr. Osman’s family immigrated from Eritrea to escape civil war. He is a first-generation college student and is involved in his community as an assistant soccer coach for Seattle United and volunteers with the Muslim Community Resource Center to provide outreach and support to Seattle homeless shelters. Interested applicants can find out more information about the scholarship program, including application requirements and deadlines here.